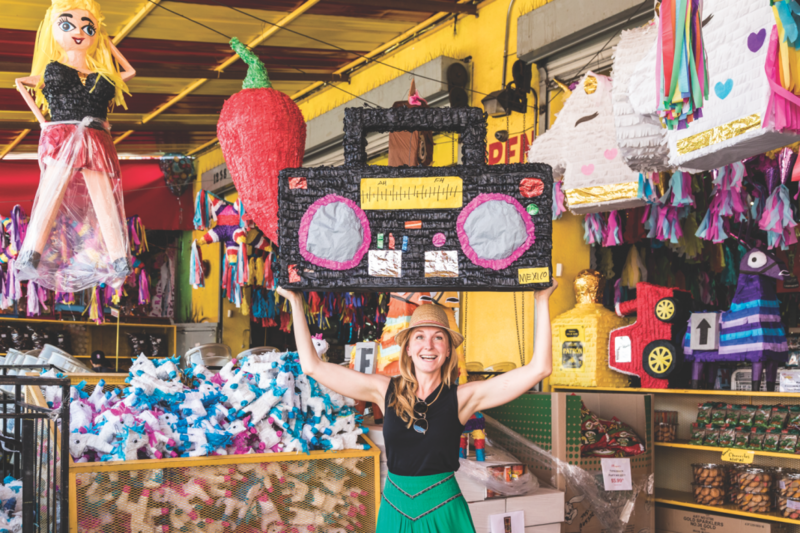 Home Dining Chefs and Restaurateurs Milk Bar’s Christina Tosi Is Letting Her Imagination Run Wild in L.A.
Christina Tosi wanted to meet in downtown’s piñata district. Any other chef opening her first L.A. restaurant might have chosen the Hollywood Farmers’ Market to entertain a reporter for a late-morning stroll, but only Tosi—founder of New York’s Milk Bar, creator of the famed Crack Pie, begetter of Compost Cookies and “cereal milk” soft serve—would suggest a Funfetti-colored stretch of Olympic Boulevard strewn with shops featuring fluttering crepe paper and assorted gumballs. The bubbly, freckle-faced 37-year-old, who may be the most recognizable pastry chef in America at the moment, has made a career out of trafficking in delight, that intangible sensation brought to you by basic tangible things (like sprinkles and piñatas). In addition to spinning off 14 Milk Bar locations nationwide, she’s been the subject of a Chef’s Table episode, a judge on MasterChef Junior, and the author of three cookbooks. She’s baked cookies with supermodel Karlie Kloss and, in her spare time, launched a birthday-cake-flavored lip balm with Glossier. Any day now Tosi will open her first Milk Bar on the West Coast, a nearly 4,000-square-foot flagship in the Fairfax District stocked with her social-media-famous birthday cake truffles, bagel bombs, and, of course, soft serve. When her sprawling new location opens to the public, she envisions a pastry classroom and an open kitchen where guests can watch bakers in action and, occasionally, wait in line for a taste of whatever new concoction is being tested. In midsummer it was the setting for an East Coast-versus-West Coast bread program that pitted New York’s and L.A.’s favorite ingredients against each other (“like Biggie versus Tupac, but in bread,” she explains).